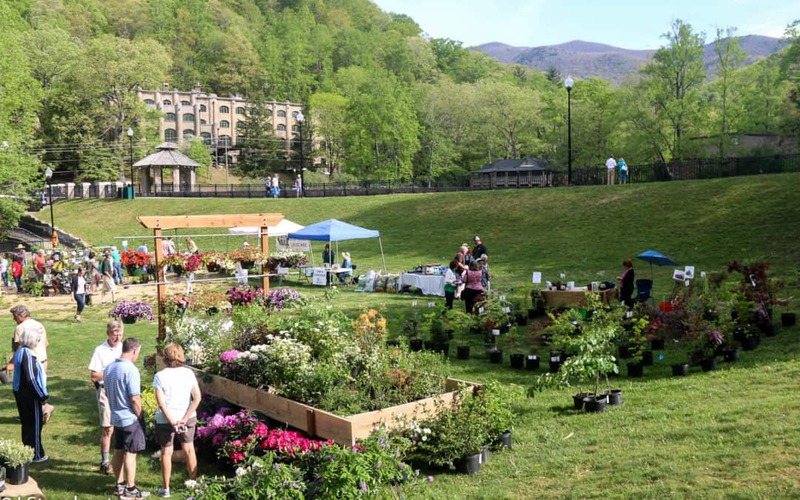 An important part of the 2018 Montreat Landcare Native Plant Sale and Arbor Day on Saturday, April 28th, are programs especially for children. 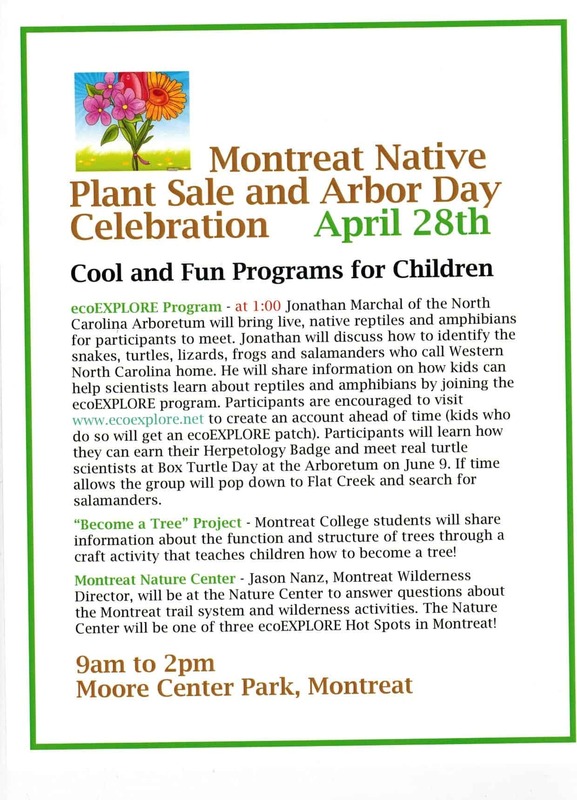 All during the event the “Become a Tree” craft activity will be presented by Montreat College students, while the Nature Center of the Montreat Conference Center also will be open. At 1 p.m. ecoEXPLORE staff of the N.C. Arboretum will display live reptiles and amphibians, and if time permits lead a search for salamanders in Flat Creek. For details see the “Cool and Fun Programs for Children” flyer. . Complete information about the event is at http://www.montreatlandcare.org/project/native-plant-sale-arbor-day-celebration-2/. Children and adults alike may find the demonstration of the town’s new bucket truck during the Montreat Tree Board homeowner tree care activity at noon an interesting action experience! A food vendor will be on-site all day.